IT’S SAFE TO say that we’re spoilt for choice when it comes to smartphones. With the competition in the space heating up and more manufacturers having to focus more on quality than quantity, it’s only means good things for the consumer. Although the problem of which phone to get still stands so if you’re trying to decide which one to get yourself or someone you know, here are the best ones released this year. It’s cliché and predictable that an Apple device would be listed in this but despite the criticism it receives with every release, it’s still the device to beat. The iPhone 6 is probably the best all-­rounder out there. Software that’s easy to get to grips with, a premium design that makes it both stylish and nice to hold, and one of the best cameras on a smartphone (only surpassed by the iPhone 6 Plus) are just some of the things that make the iPhone 6 a great device. The only major drawback is the cheapest version only has 16GB, a pittance when you consider the device has no SD slot. You’re better off going for the 64GB or 128GB version if you can afford it. Note: due to the variation of contracts and different memory sizes for the iPhone 6 and 6 Plus, prices below are the average cost from smallest size to largest. If one size is included, then it’s cheapest to most expensive. Vodafone: €149 – €249 on bill pay or €669 on PAYG (16GB – 128GB). O2: €59 – €259 on bill pay or €649 – €849 on PAYG (16GB – 128GB). Three: €179 – €319 on bill pay or €659 – €859 on PAYG (16GB – 128GB). Meteor: €129 – €529 on bill pay (16GB). eMobile: €229 – €479 on bill pay (16GB). Carphone Warehouse: €149 on bill pay (16GB). Unlocked: €669 – €899 (16GB – 128GB). When it came out, the Galaxy S5 was a great device, but wasn’t as well received as Samsung would have hoped. 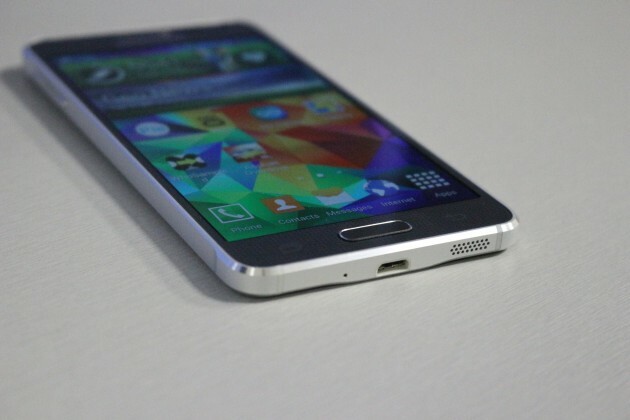 Its response was to release a more premium device in the form of the Galaxy Alpha, an aluminium device that distanced itself from the plastic casings of its predecessors. Once you got used to the design and the lightness of it, you were left with a great device. While it doesn’t have the same high­-end specs you would associate with similar premium device, it still packs a punch and is well worth considering. Meteor: Free on bill pay. eMobile: From €99 on bill pay. Carphone Warehouse: Free on bill pay. Tesco Mobile: Free on bill pay or €629 on PAYG. 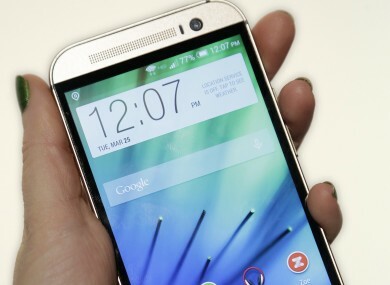 Released near the start of the year, the successor to the HTC One was released to much acclaim and it’s easy to see why. For a start, it’s a brilliantly crafted device with an aluminium body, and is an absolute powerhouse. The software has been improved as well and it manages to fit in a SD card slot which can support 128GB sizes. The only drawback is the camera quality, which can be somewhat inconsistent. The real dilemma is whether you want to get the M8 now or wait until March for its successor to be announced. HTC has proven it can create fantastic premium devices again and again so it’s safe to assume a better device will arrive come springtime. Vodafone: Free on bill pay or €549 on PAYG. O2: Free on bill pay or €549 on PAYG. Three: Free on bill pay or €599 on PAYG. Carphone Warehouse: Free on bill pay or €509 on PAYG. Tesco Mobile: €219 on bill pay or €639 on PAYG. It was a toss­up between the Lumia 930 and 830, but while the 930 is powerful, the 830 is just a better all-­round device. While it’s really a mid-­range device instead of the flagship title Microsoft gave it, the Lumia 830 does many things right. 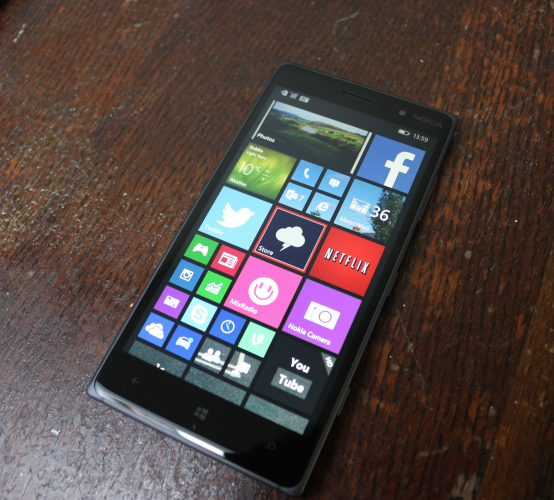 It can run most Windows Phone apps without any real problem, it’s light and easy to hold and it has a great camera. Windows Phone 8.1 fixes many of the problems associated with it and the upcoming release of Lumia Denim will improve what is already a great camera. Vodafone: Free on bill pay, €379 on PAYG. It’s a bit of a cop­out to put both Apple’s and Samsung’s devices here, but they’re two of the best phones out there, and which one you like is really a matter of preference. Both have large ­screens, both are slightly awkward to hold with one ­hand, both have great battery life and both are powerhouses, but there are some differences worth considering. While it’s easy to dismiss the iPhone 6 Plus as simply a bigger iPhone, it works better in practice. Its ‘reachability’ function – which temporarily slides the screen down half­way so you can reach the top – solves the biggest headache associated with a phablet, and it has a slightly better camera than the iPhone 6. The Note 4 is geared more towards productivity, not only with the S Pen (the name of its stylus), but by including split­-screen modes and note gathering. It’s arguably the more useful device for those who are more creative. Vodafone: €149 – €349 on bill pay or €779 on PAYG. O2: €149 – €349 on bill pay or €749 – €949 on PAYG. Three: €279 - €379 on bill pay or €759 – €859 on PAYG (16GB – 64GB). Meteor: €229 on bill pay (16GB). eMobile: €329 on bill pay (16GB). Carphone Warehouse: €149 on bill pay or €749 on PAYG. Unlocked: €799 – €999 (16GB – 128GB). Vodafone: €29 on bill pay or €599 on PAYG. O2: Free on bill pay or €669 on PAYG. Three: €149 on bill pay or €669 on PAYG. Meteor: From €99 on bill pay. eMobile: €199 on bill pay. Carphone Warehouse: €599 on PAYG. The smartphone market is incredibly saturated with both high-, mid-, and low-range devices out there so covering them all would take far too long. Yet if the above devices don’t appeal to you, you have other options. To start, the OnePlusOne has great specs for a low price, but is still using an invite­-only system which means you need to know someone with one, or wait for a special sign-up offer arrives. Despite being a year old, the Nexus 5 is still a solid device, with the ability to run pure Android a major plus, while the Xperia Z3 Compact is a fantastic mid-­range smartphone with a quick and sharp camera, although it overheats during intensive use. Email “Which smartphone should be in your Christmas stocking this year?”. Feedback on “Which smartphone should be in your Christmas stocking this year?”.